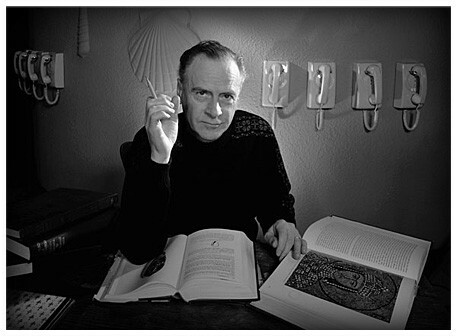 One of the early thinkers of new media, Marshall McLuhan, helped inform and shape the thinking of new media. “ The content of writing is speech, just as the written word is the content of print, and print is the content of the telegraph” (page 10). He further writes on several examples such as the railway did not introduce transportation, however, it did accelerate the development of cities. Alternatively, the phrase “the medium is the message”, means any form of a medium (McLuhan uses the example of an electric light) places itself in a message thus creating a relationship between the two. For example, the medium is an electric light and the message could be a baseball game at night. This concept reinforces the study of new media because media can be broken down into the “medium” and the “message”. McLuhan was less interested in the message and more interested in the medium people used to communicate. Through recent decades, technology has changed the way people have used to communicate. Instead of solely relying on speaking to someone in person, one can send a message through Facebook or other social media to contact a friend, for instance. In this case, is the form of the message as significant as the message itself? An overview on “the medium is the message”. Additionally, McLuhan has argued electronic communication would lead to consequences that would alter how we experience the world. However, this appears to be something that should be on an individual basis. Studies have been made focusing on the effects technology has on face-to-face communication. One study has concluded technology has created a negative effect on quality and quantity of face-to-face- communication. Conversely, one should not ignore the positives technology has on communication. With the creation of the internet and social media, communicating with others has drastically improved. For instance, if someone does not own a landline or cell phone, Skype has the capabilities of allowing the individual to make calls as long as the user has a working microphone and internet connection. Finally, McLuhan was correct in 1964 about electronic communications shaping how we experience the world. The medium and the message continuously shapes our lives. As he saw the railways, the medium and message take place in various forms. Perhaps in the future, a new development of technology will come to be a new form of communication.